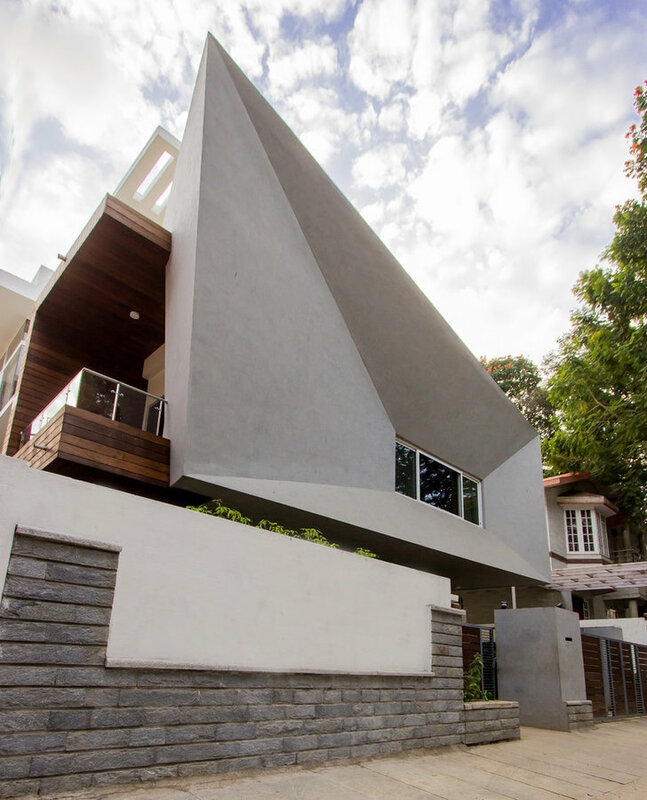 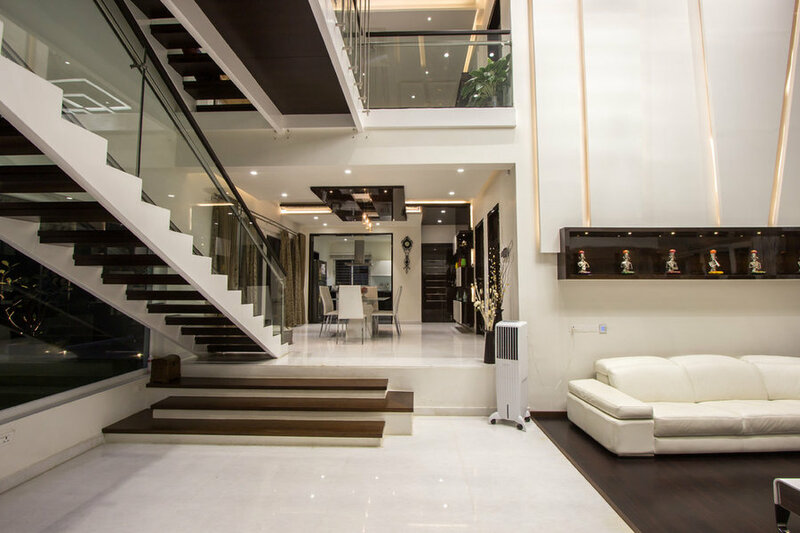 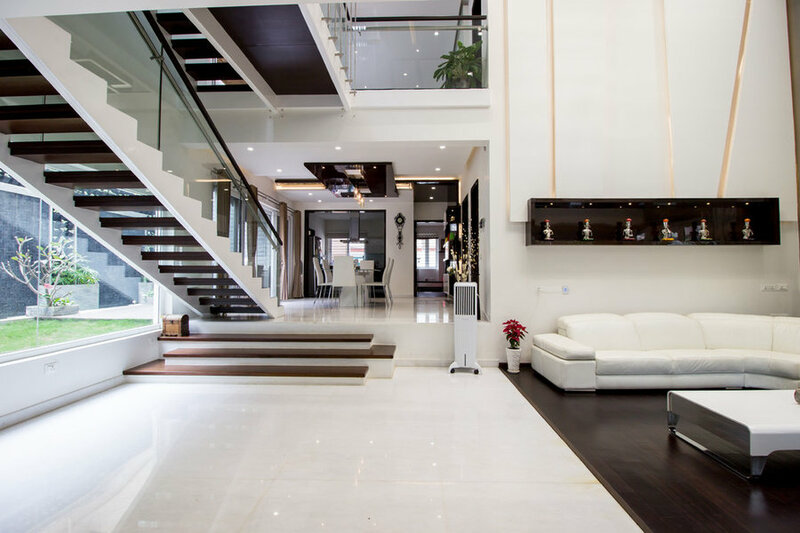 A Home of Contemporary Elegance Koramangala is one of those few places close to Central Bangalore that can still boast of the beauty of independent homes. 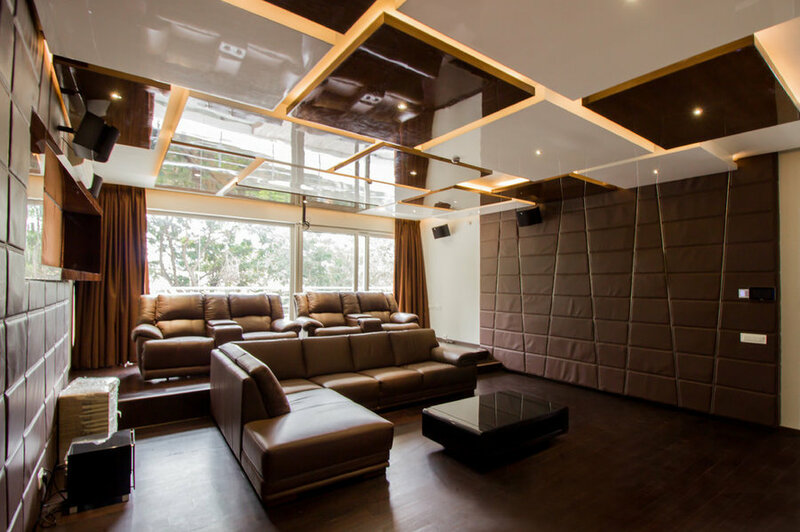 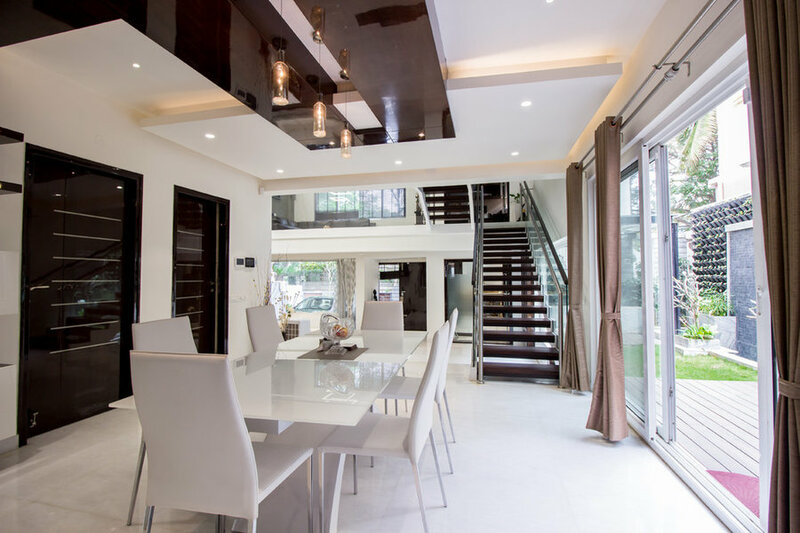 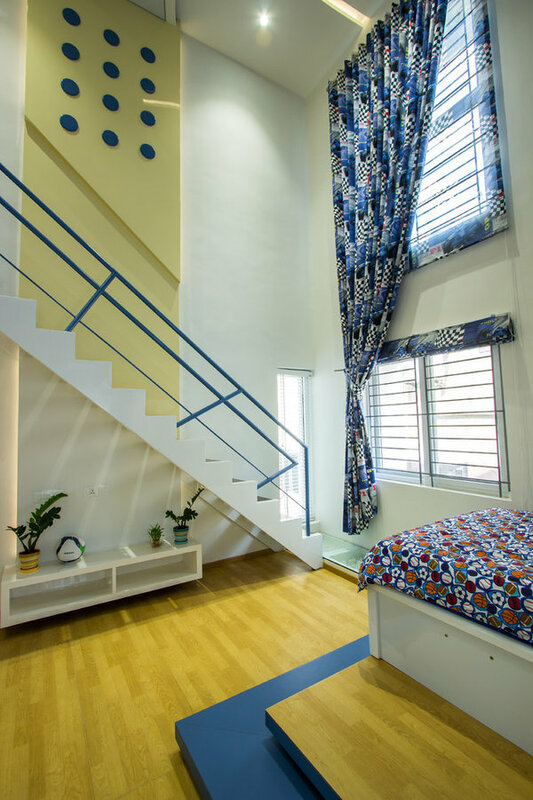 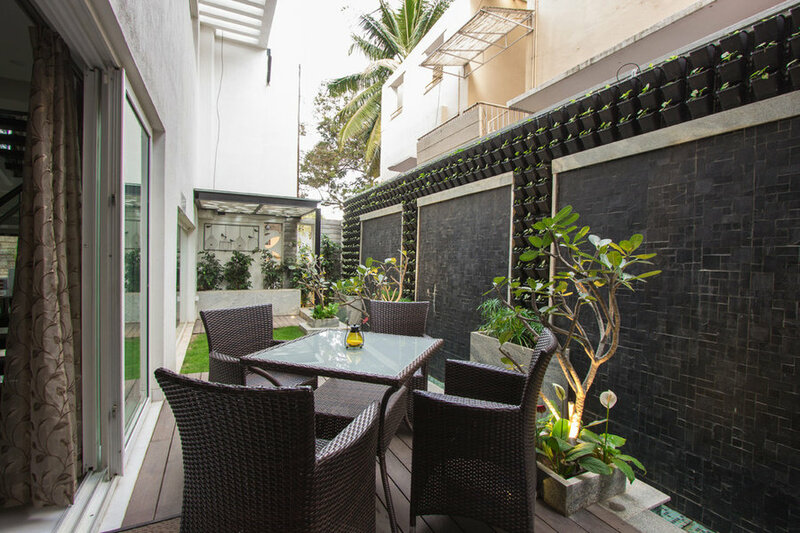 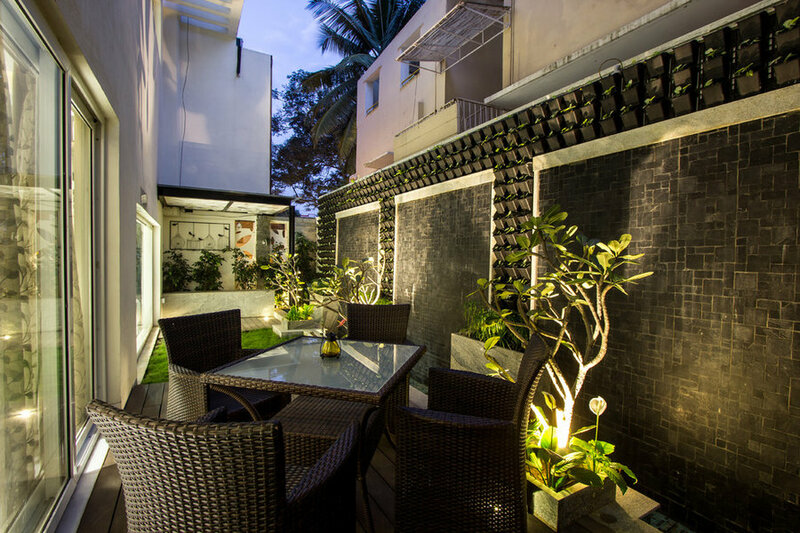 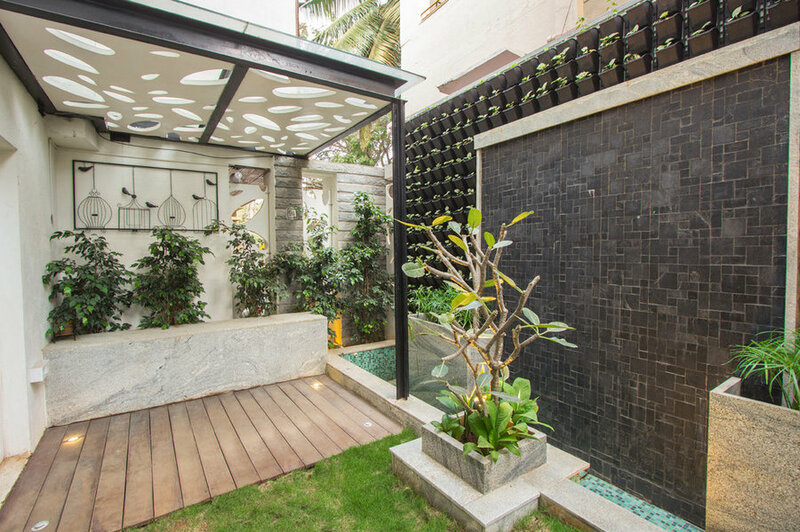 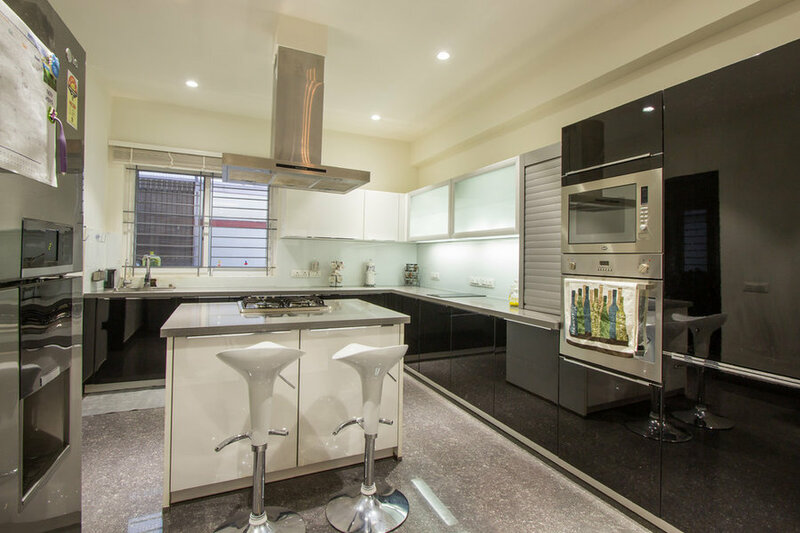 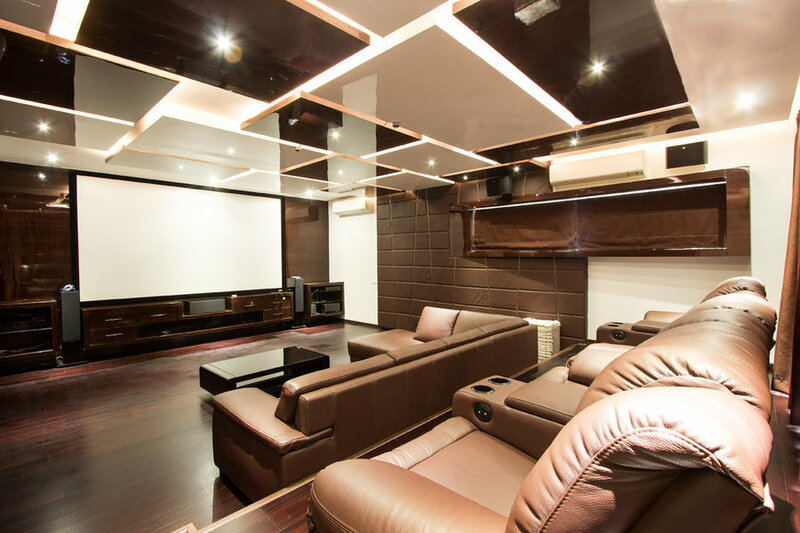 While there may be interesting ones to explore, a home that instantly catches the eye is that of Mohit and Shalini Saxena, located quite close to the Koramangala Club. 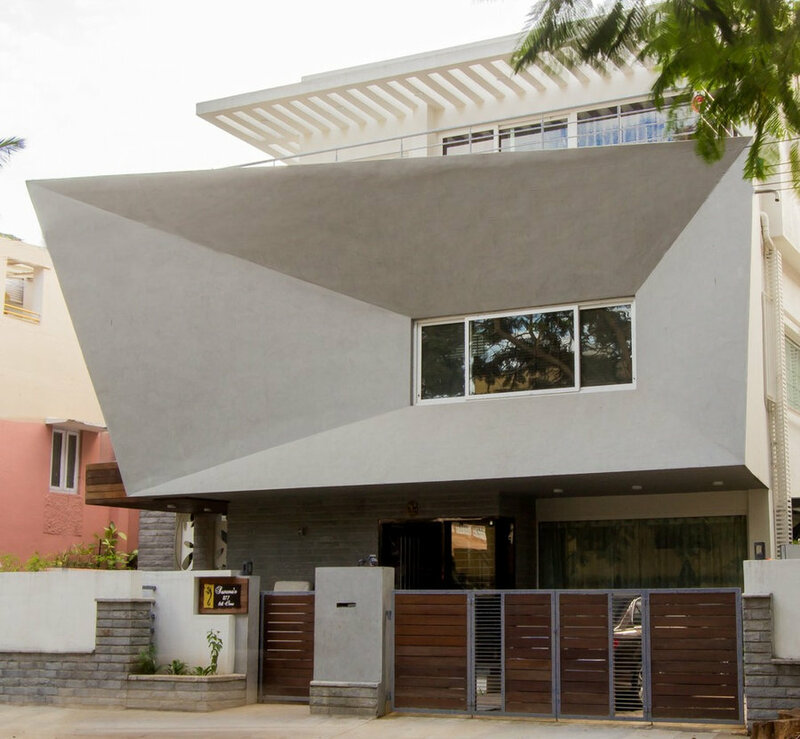 What makes you stop for a second look is the arresting facade that comprises of a huge cantilever. 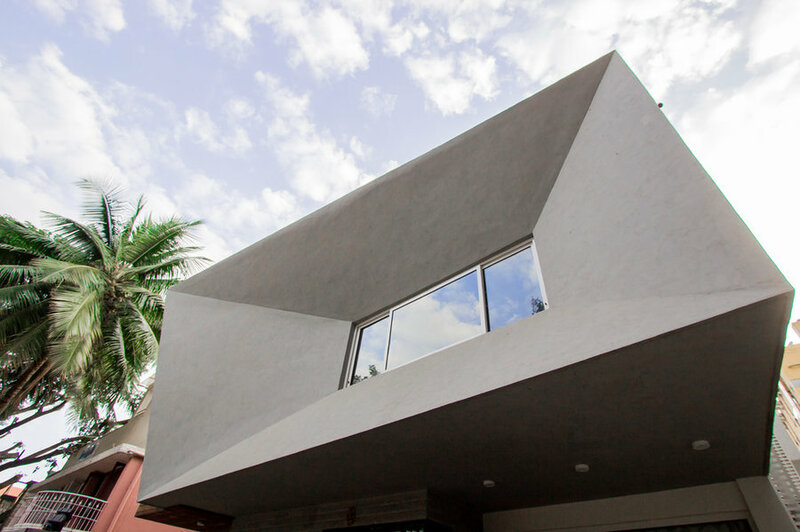 Behind this cantilever lies a G + 2, 5-bedroom home that is at once, contemporary, as it is homely. 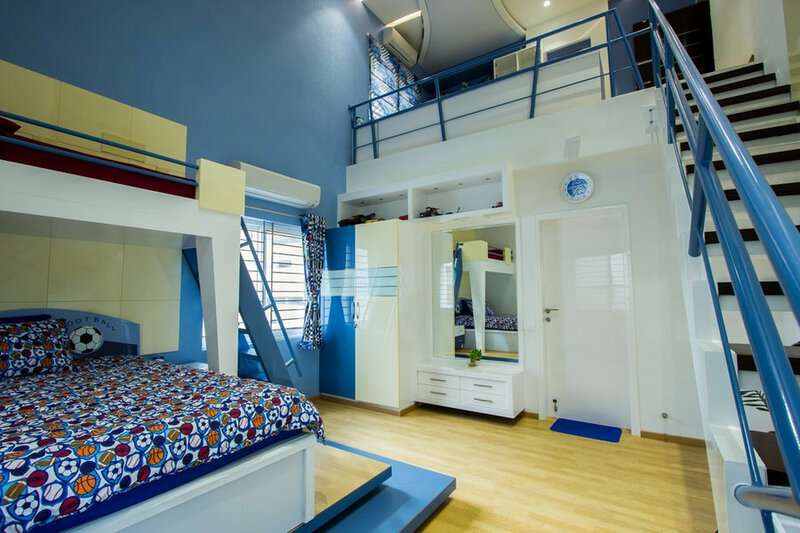 Mohit Saxena is the Co-founder of inMobi, a $2 billion company that enjoys the status of being among the top in the tech world. 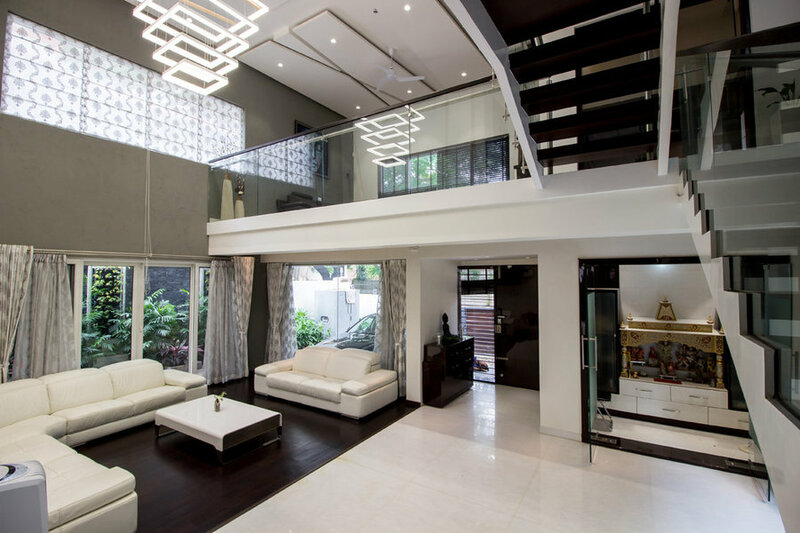 Mohit and Shalini wanted a home that reflects this success. 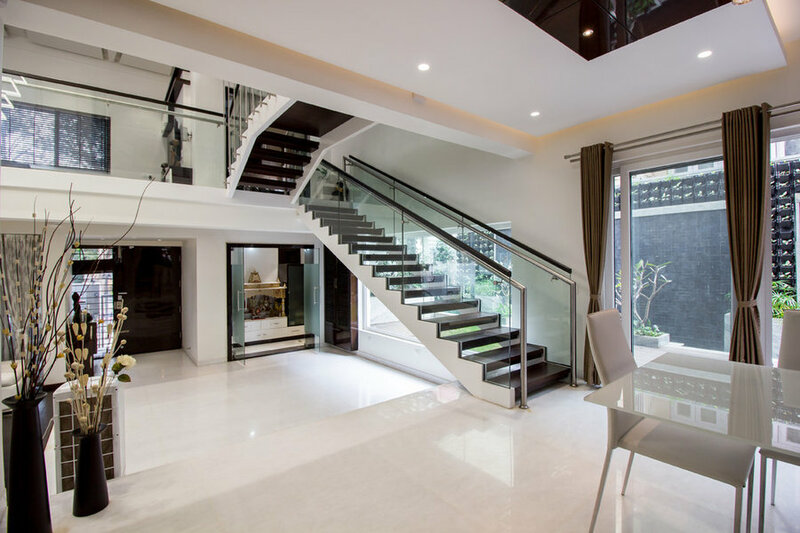 A home that would look good in any time period or location that it may be placed in. 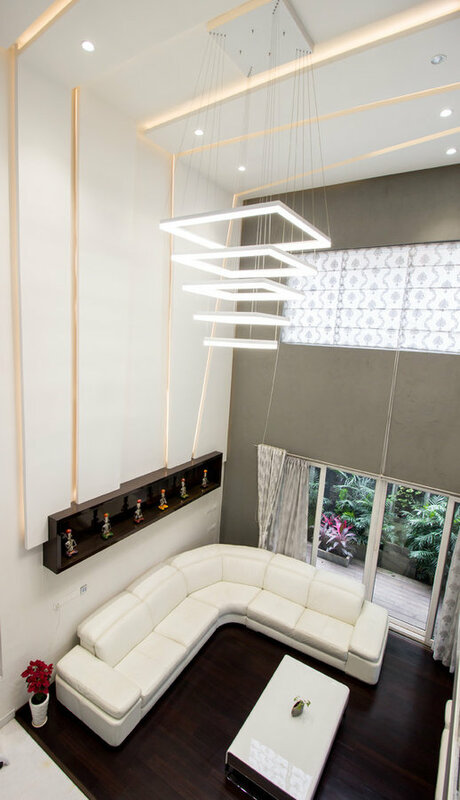 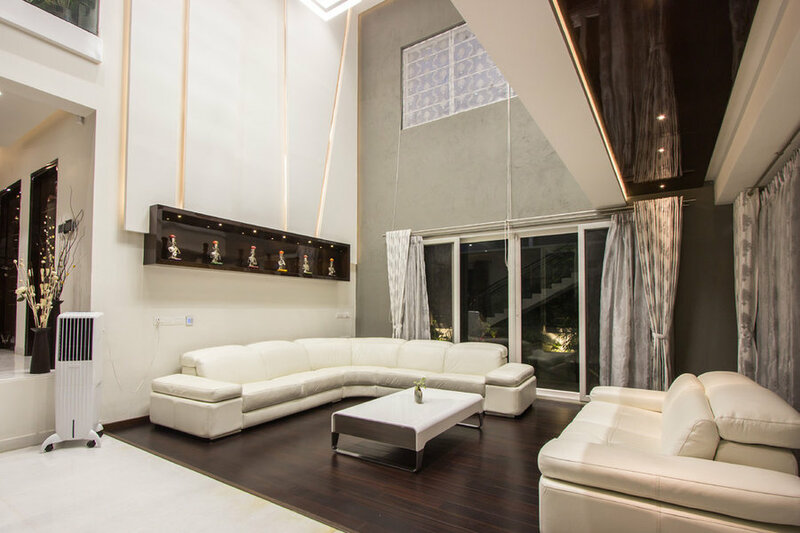 They wanted a space where they could entertain their guests, Indian and international, in surroundings that exuded a sense of contemporary elegance. 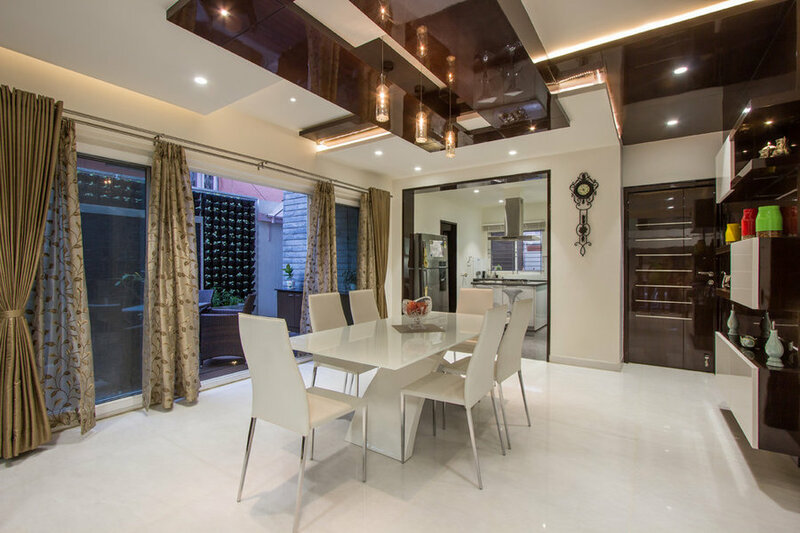 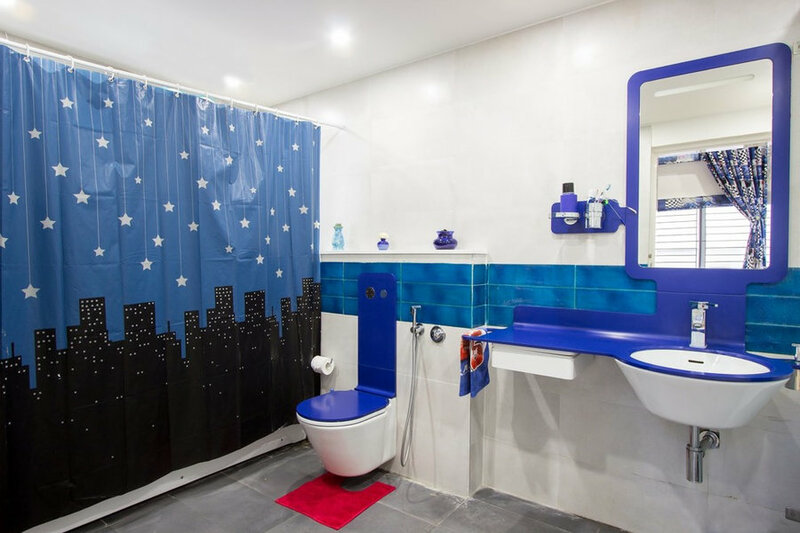 The couple is well travelled and therefore the home does not adhere to a specific style or taste but rather reflects a contemporary, fluid feel. 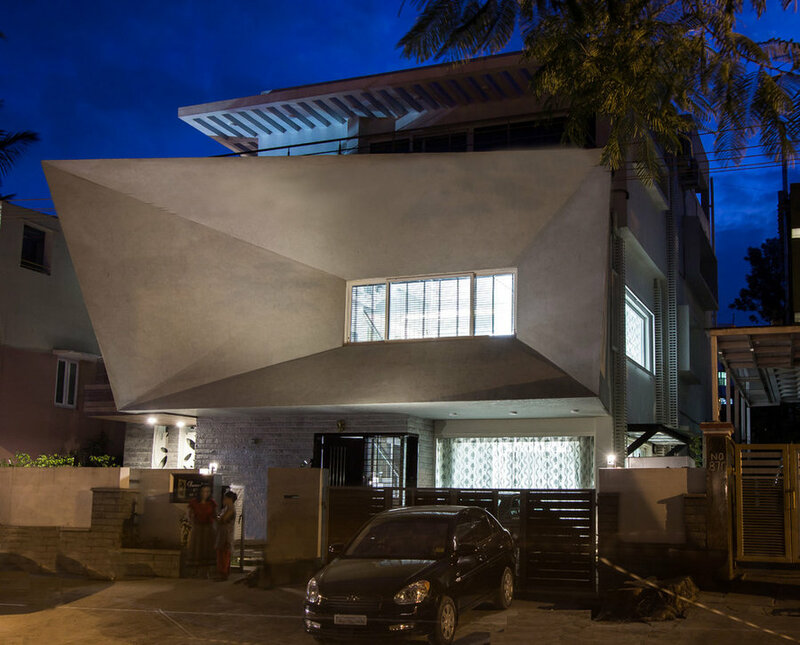 The Saxenas invested in the property, along with an existing home in 2013. 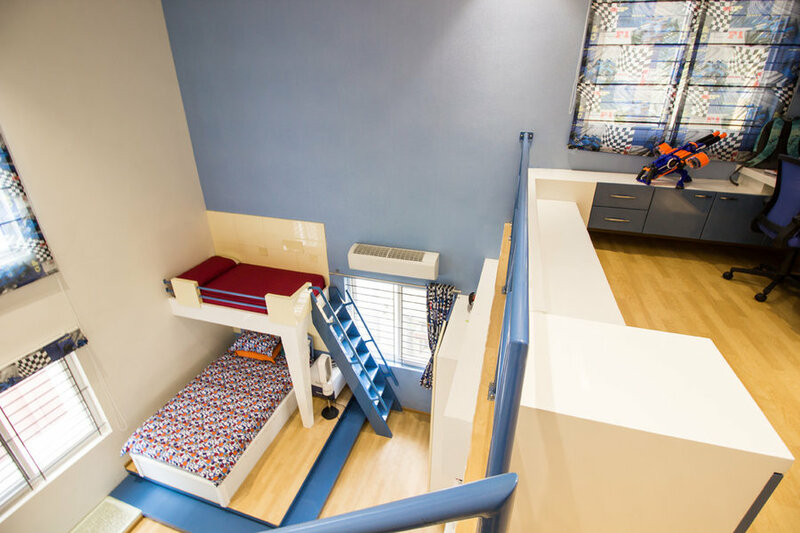 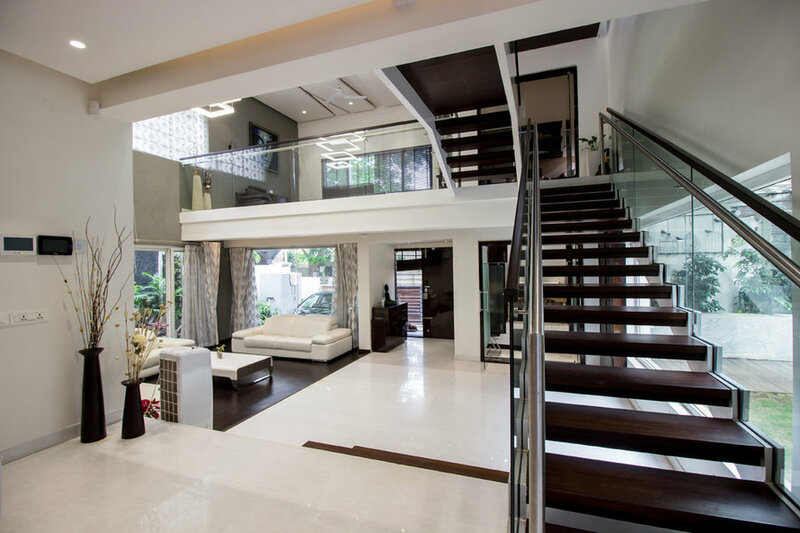 The idea was to overhaul the interiors and move in. 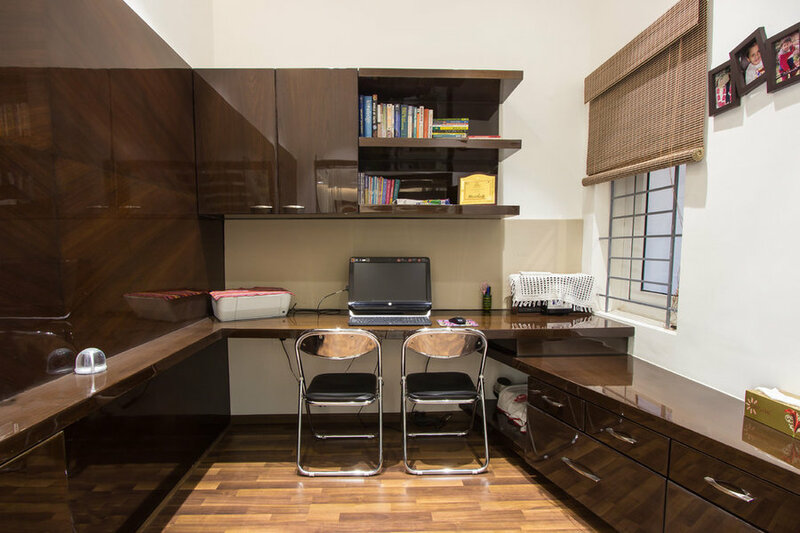 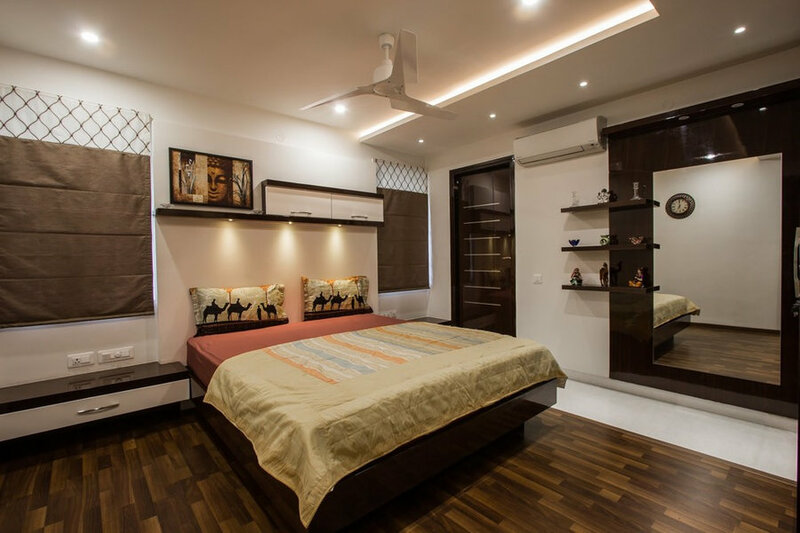 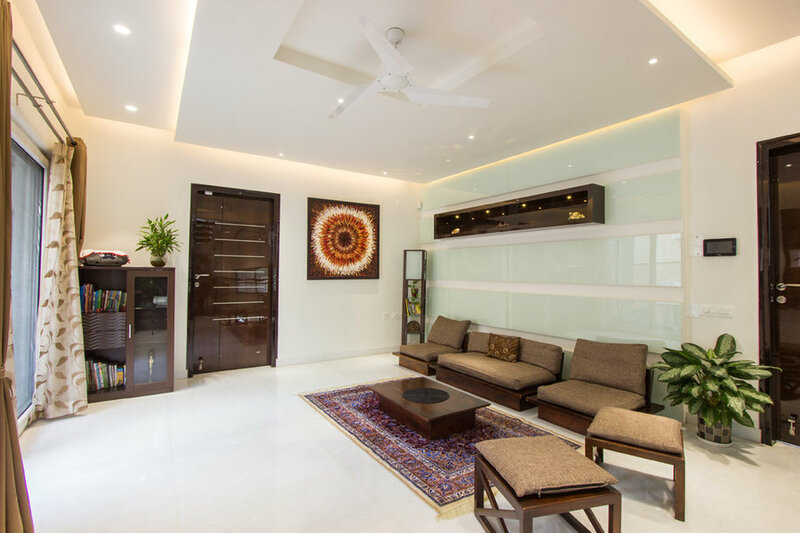 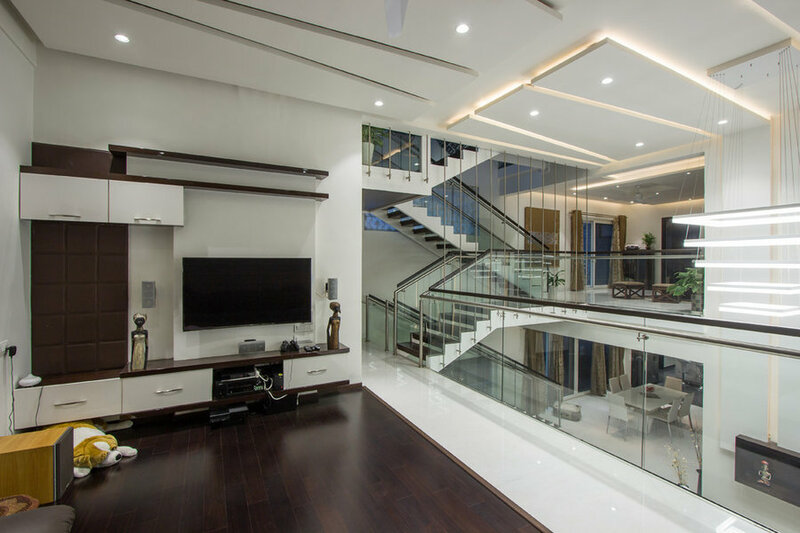 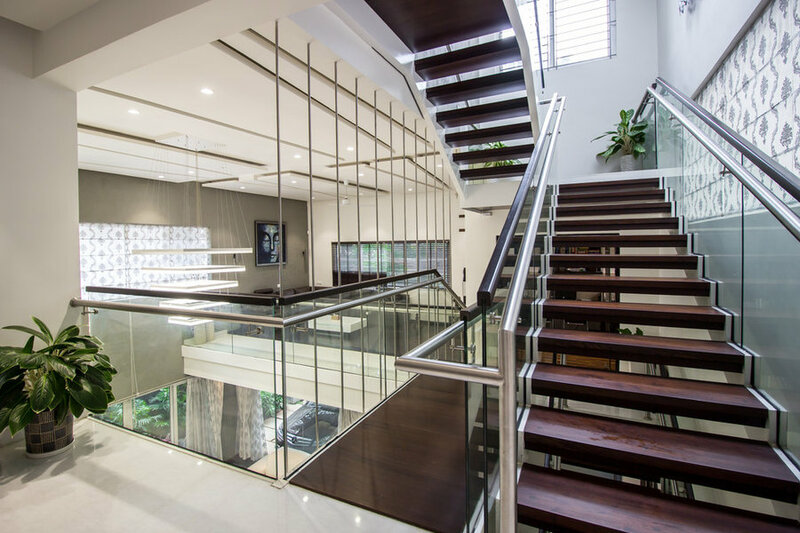 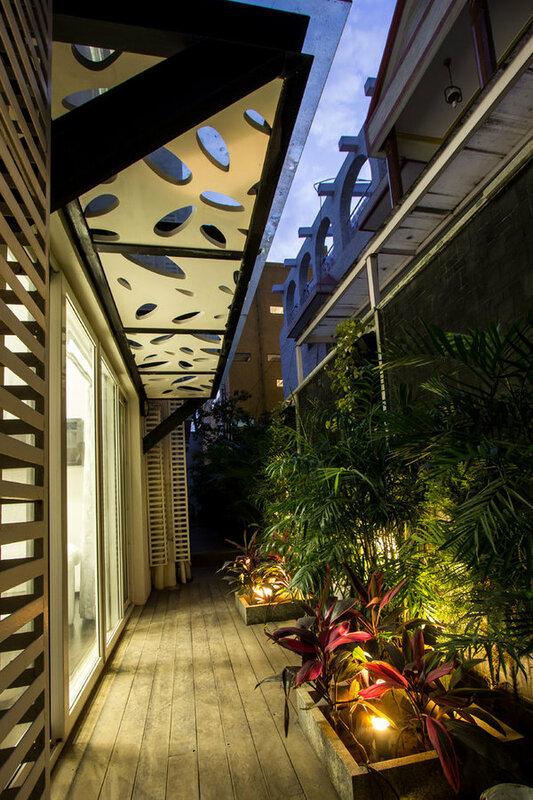 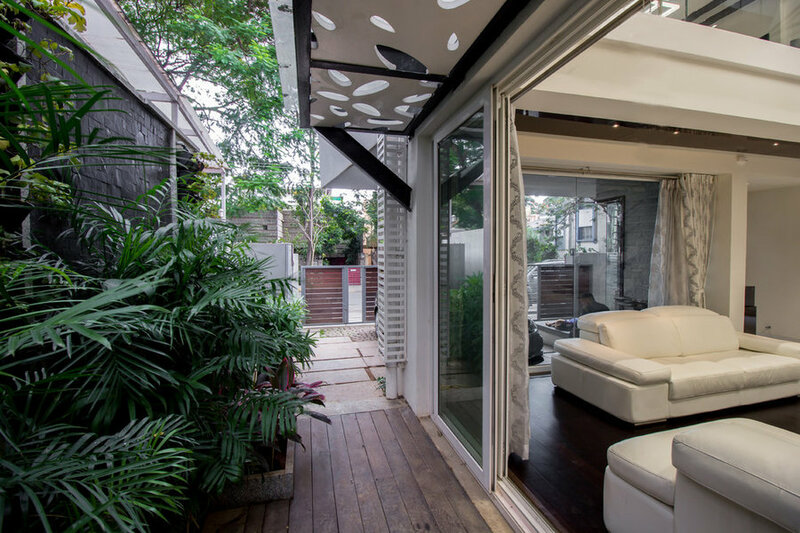 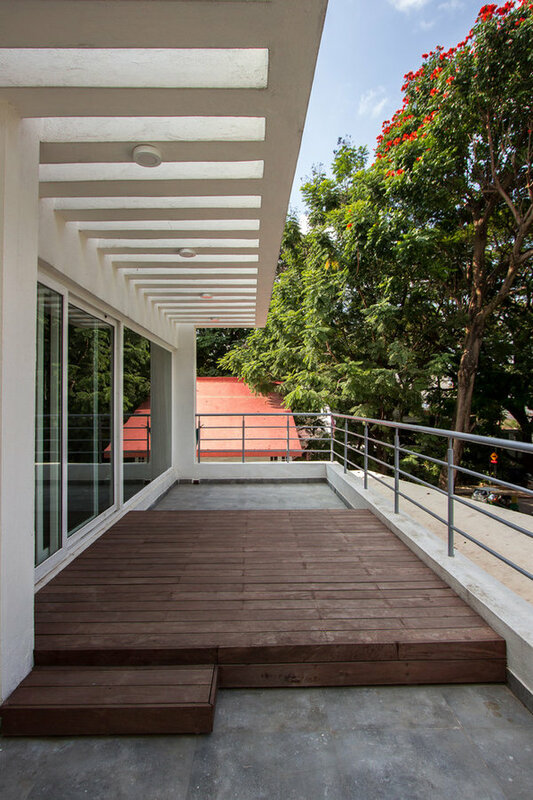 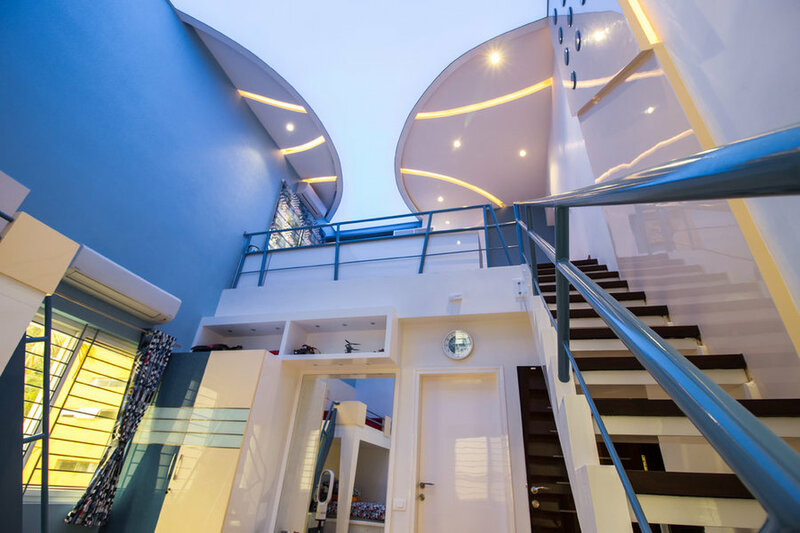 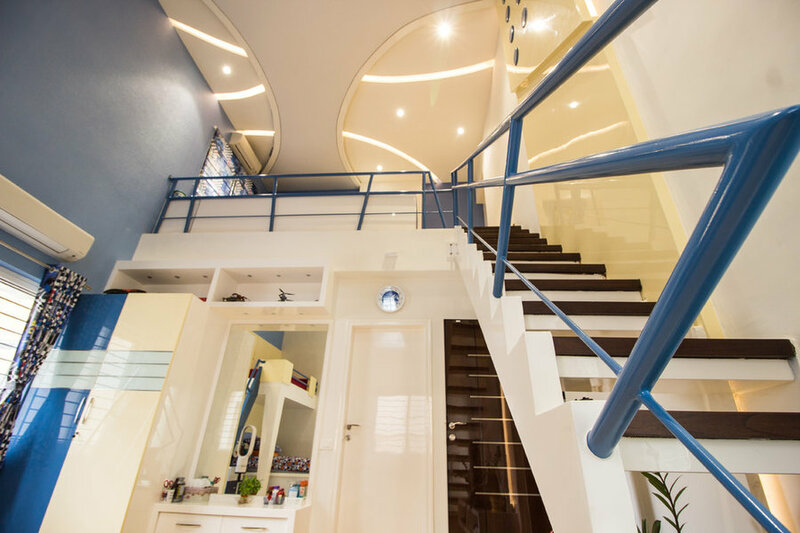 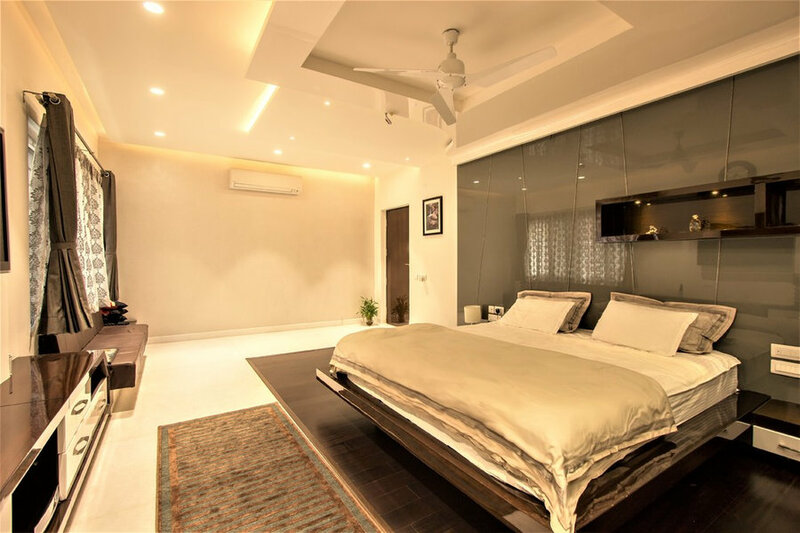 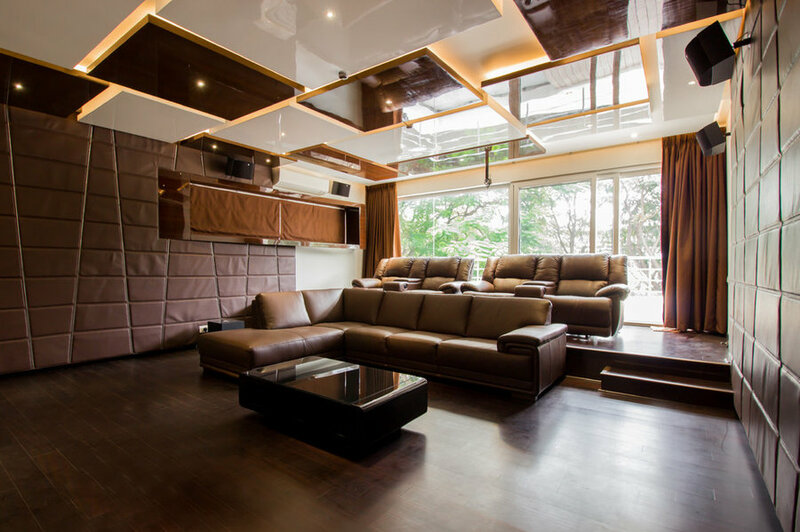 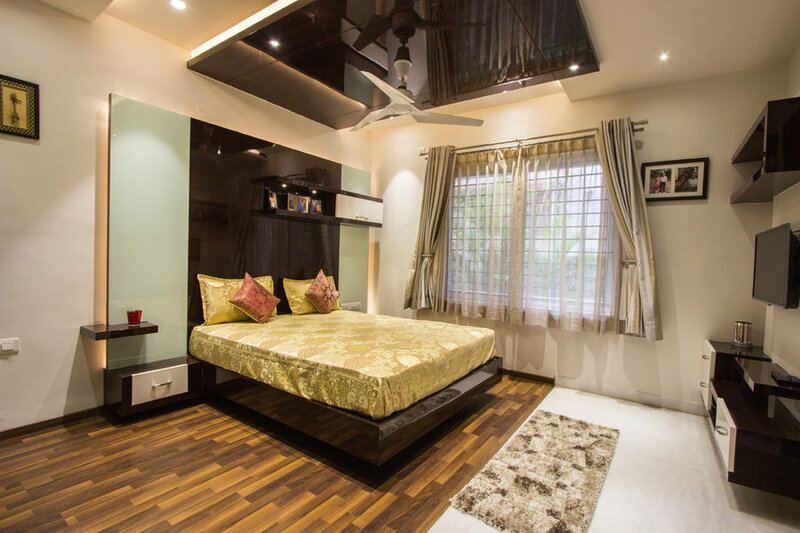 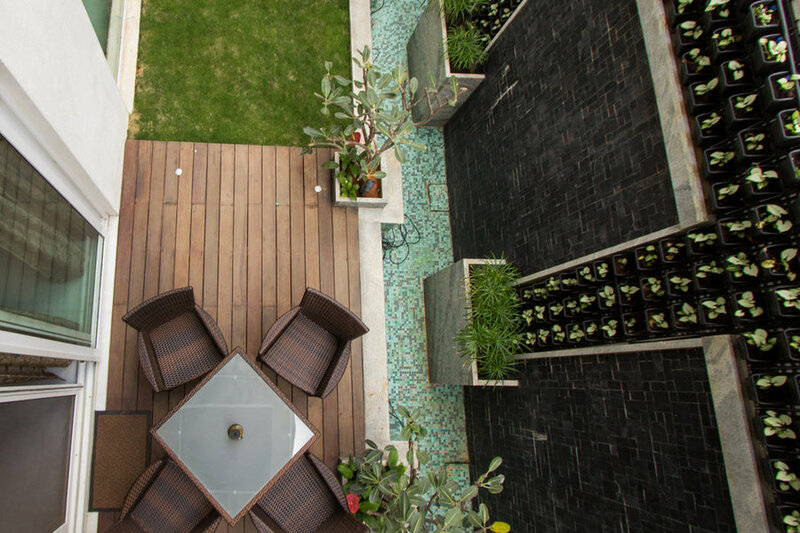 Subhash Saraff of A360 Architects was brought on board to bring the couples vision for their home to life. 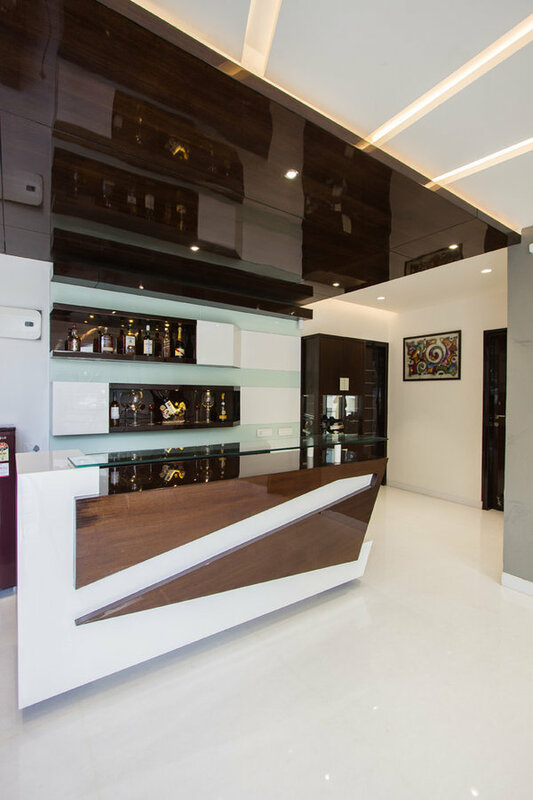 What stands today, is a testimony to the Saxenas great taste and the architects ability to bring it to reality. 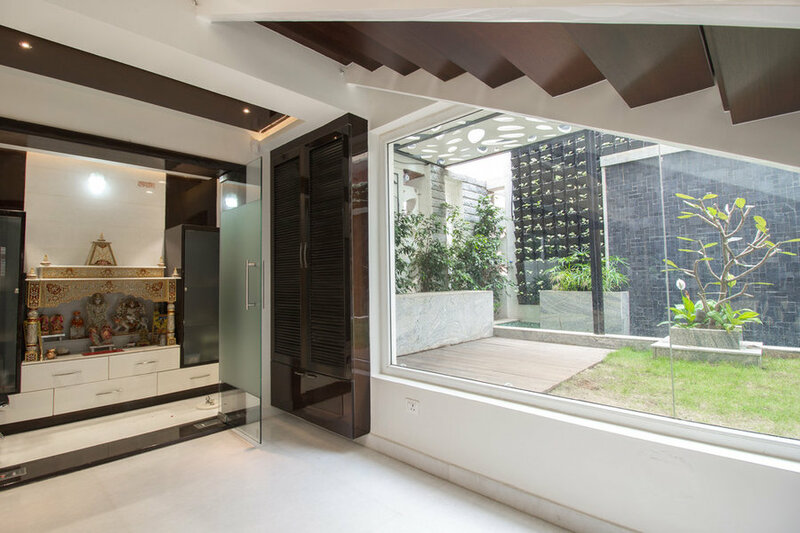 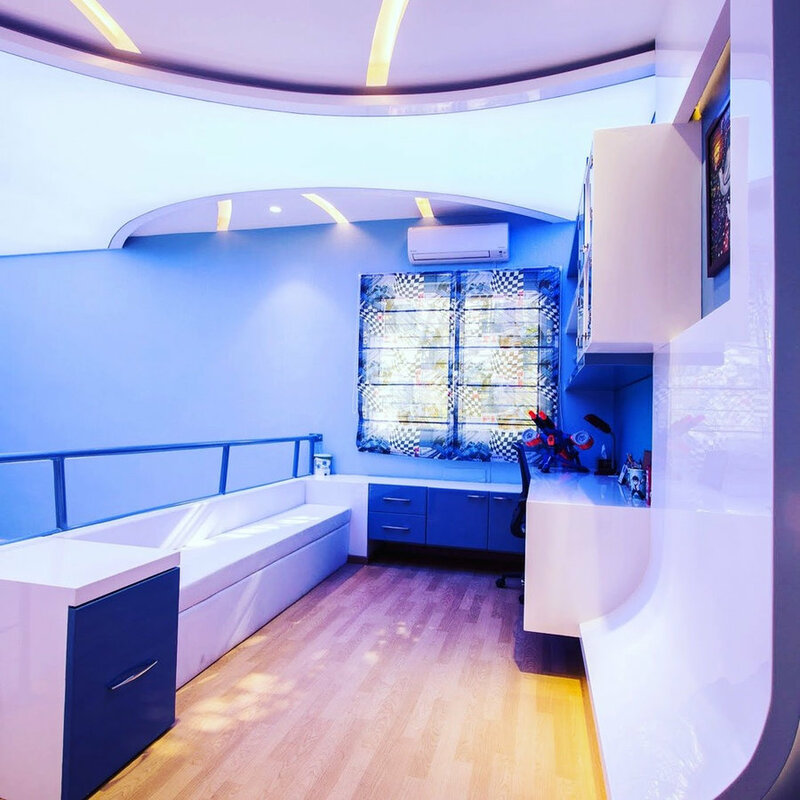 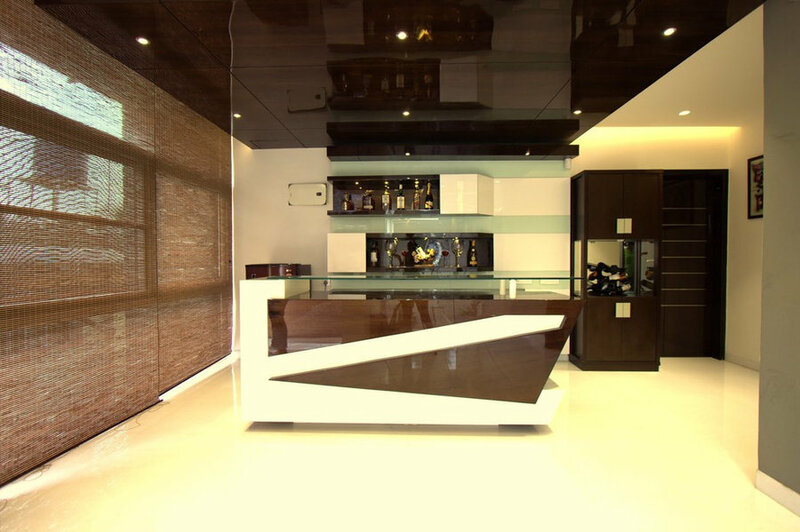 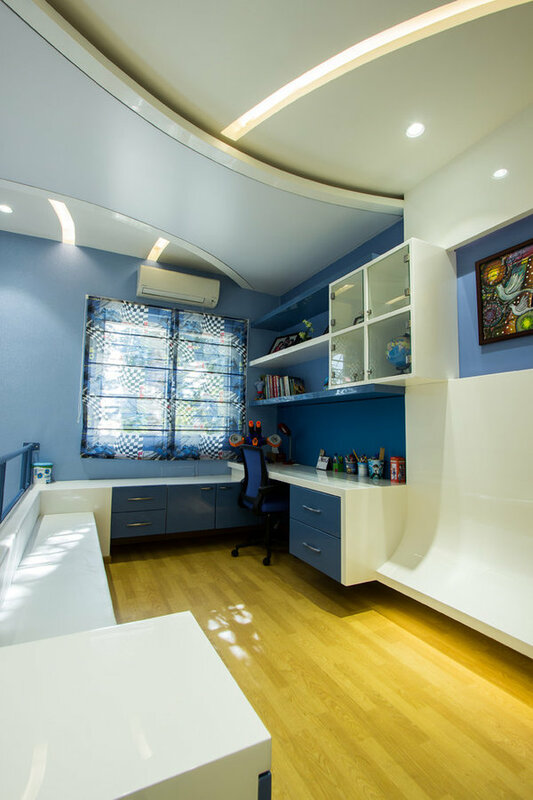 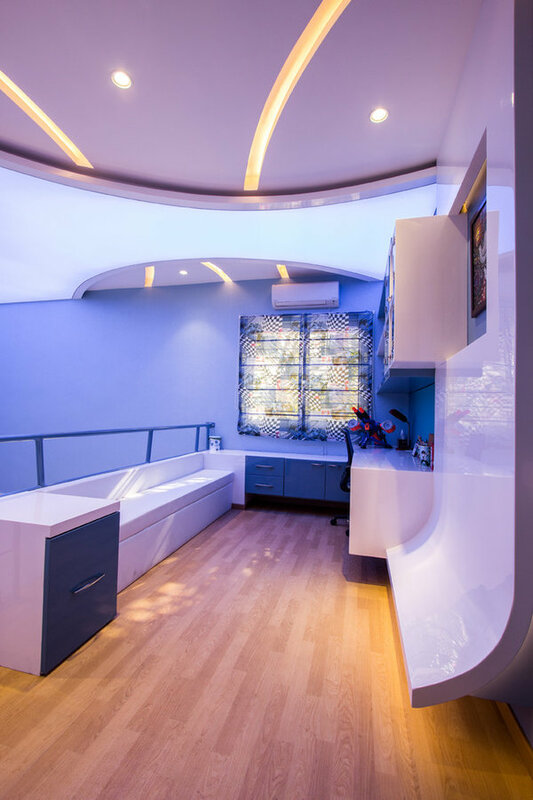 A360 architects being one the leading architecture and interior Design firm in bangalore. 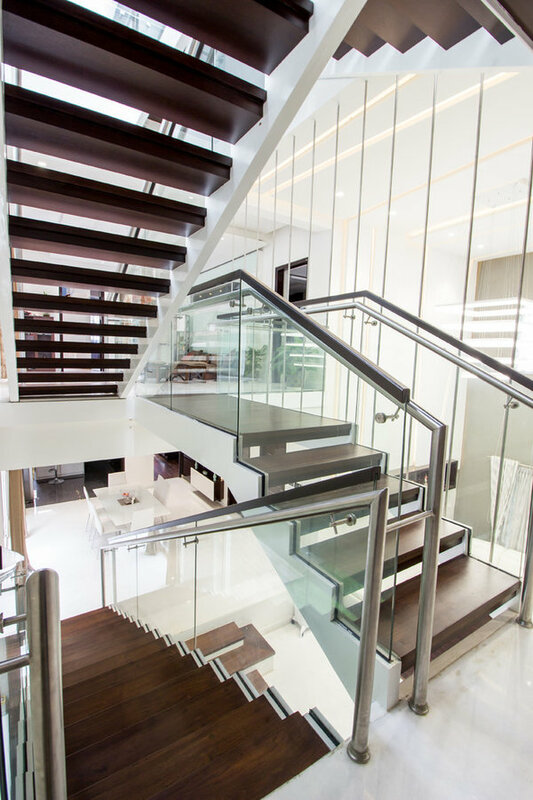 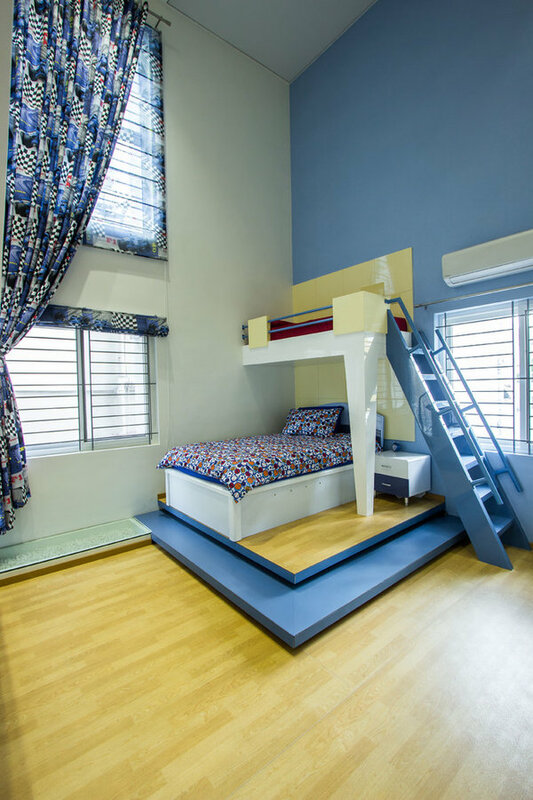 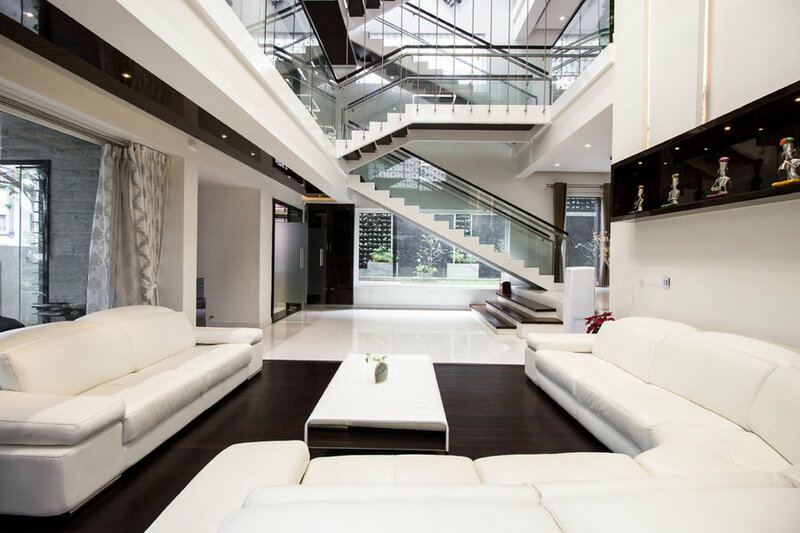 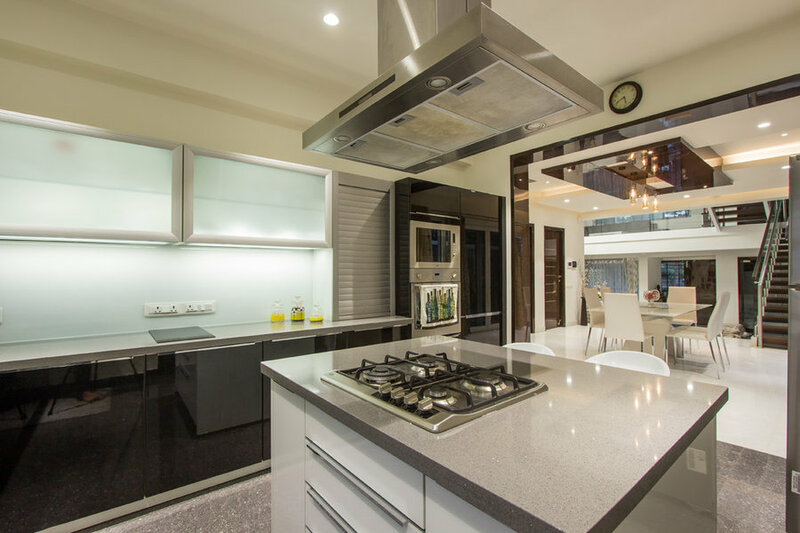 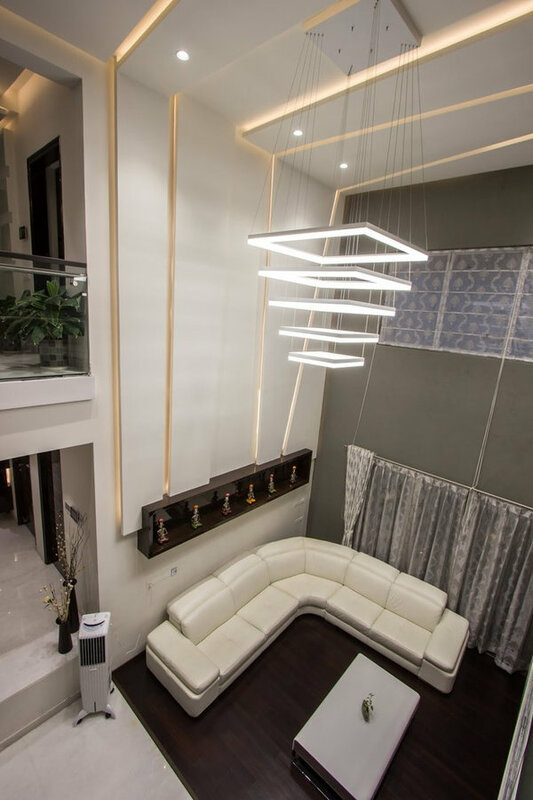 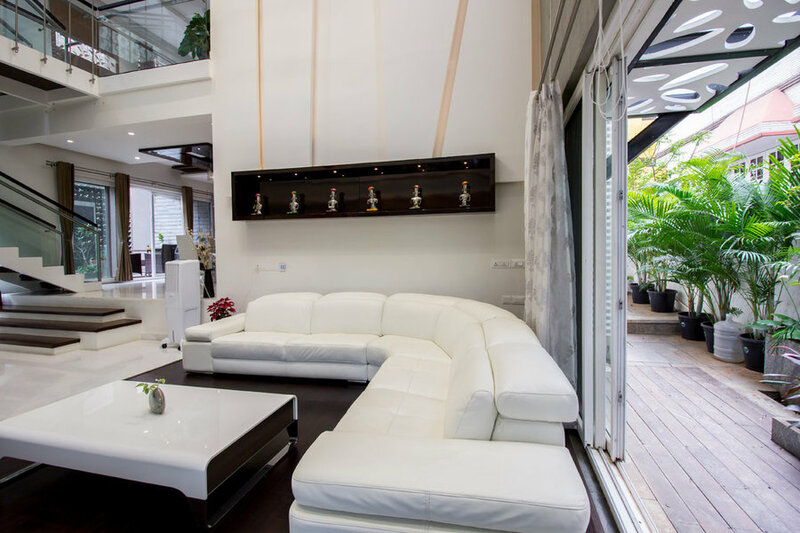 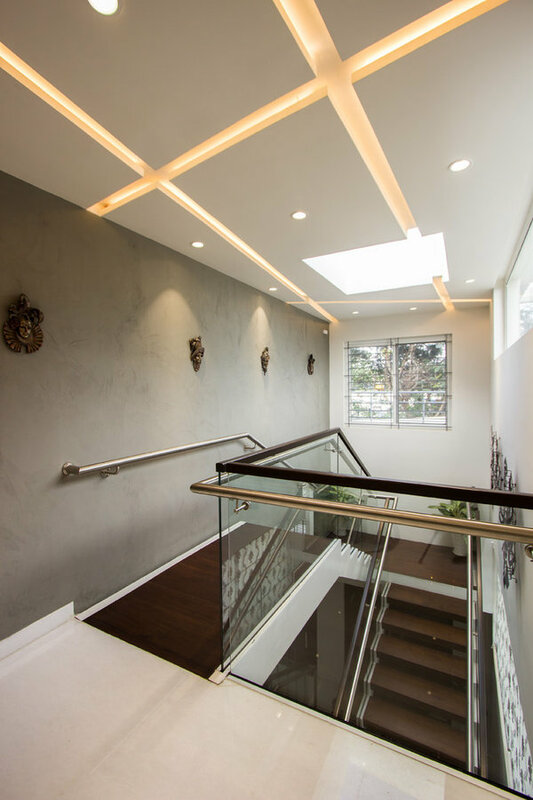 A360 specializes in contemporary designs for homes and residential projects.